A$AP Rocky is an American hip hop vocalist, songwriter and producer. He does his production work under the name Lord Flacko. 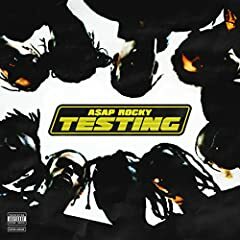 In 2007 Rocky joined the A$AP Mob, a Harlem hip hop collective. He released his debut solo album Long. Live. A$AP in 2013, which was critically acclaimed and debuted at number one in the US. His 2015 follow-up At. Long. Last. A$AP also debuted at number one. Rocky directed several of his own music videos, as well as doing so for other A$AP Mob members.